So I mentioned in my post the other day that I had offered to do the new runner briefing at parkrun on Saturday. After marshaling last week, I fancied running this week (and there was a chance that my dad could make the run too, so I didn’t want him to have to wait around for me), but they were short of volunteers, so I went for something that meant I could still run. Who would not want to run here? And what a beautiful blue sky we were treated to as well. When I turned up, I was given a laminated sheet (again, love the laminating) that summarised the main points (and the order to give them in)- course guide first, so that regular parkrunner tourists could listen to the first part and leave, and then guidelines for new runners (dogs on leads/ children close by) and an explanation of how the barcode scanning worked. I was given a high viz jacket, just so I looked official for the briefing, and then spent the time chatting to other volunteers- I am starting to know a few more faces which is good. Then the run director got his megaphone out and announced that I would be doing the briefing- quite a few people came over- I am not sure what I expected really but I suddenly was so nervous that my legs were shaking! The run director said the main thing was to be welcoming, and I think my enthusiasm for parkrun in general came through. Thankfully I only had one question, and once that was answered it was time to quickly hand back the jacket and notes, and find a place at the start. The run was really enjoyable- I think I was so relieved to get the talking out of the way! 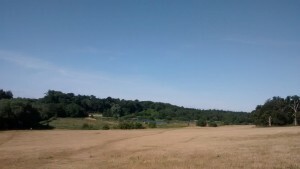 The weather was lovely- sunny but with a breeze to generally keep cool (well, not too hot). At a couple of points I got stuck behind people running next to each other, and in the final push I asked a couple of ladies if they would mind if I passed them (they didn’t)- I get a bit claustrophobic almost if I am running really closely behind other people. I didn’t look at my watch at all, and in fact forgot to stop my Garmin until I was stood in the queue waiting to have my barcode scanned. It was another mega turnout with nearly 300 runners! There was a WI stall selling cakes for charity, so after scanning my chip I was having a look at them, when a man came up to me and thanked me for my “pep talk”- it was his first parkrun and he was really pleased that he had managed a pb. When I asked if he enjoyed it, he was very positive, and said he would be back. I was so pleased to hear that (and not just because it meant my nerves weren’t too bad)- parkruns are just brilliant and I love it when other people love them just as much. 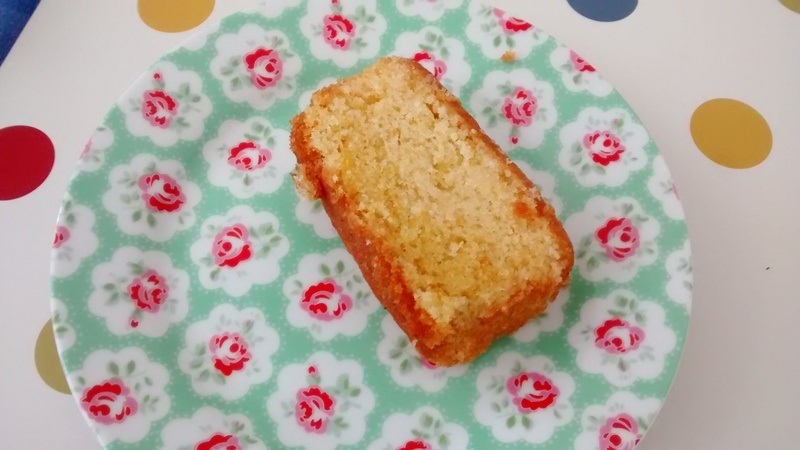 I bought myself a slice of lemon drizzle, although I haven’t had it yet as I was going out for lunch on Saturday and ended up having some carrot cake then. I think after doing the briefing once, I would do it again. I have not yet done a role that I haven’t enjoyed, although I have not been brave enough to be a timekeeper yet- that looks like the most pressure to me! 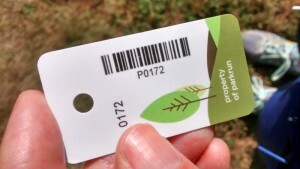 If you do parkrun, what is your favourite volunteer role? What have you done that scares you? Anyone else hate public speaking this much? Well done Maria! I always find talking to large groups scary and it sounds like you did a great job. Lemon drizzle sounds perfect for this weather. Thanks, I was relieved to get it over and done with! Well done on pushing yourself out of your comfort zone. I try to do something every week that scares me to keep me on my toes. I don’t think I could take every week! But every now and then is good! I would find that quite scary! Well done!! Public speaking is always terrifying, whatever you’re saying! I would like to do it at some point…I’d probably have to practice at home first though hehe. My favourite volunteering roles are the ones I do at the moment (set up and clear down) as I can still run and it’s very social. I do like the ones where you can run too, it’s good, and I think helps with getting to know people that are regulars. Great job! That must be really nice to hear that the man enjoyed the run and your pep talk. Hope you enjoyed the cake!